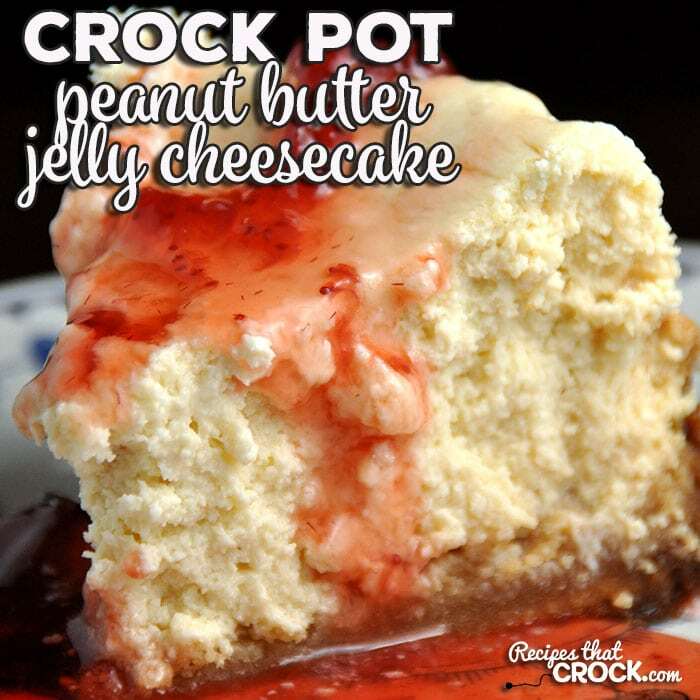 Crock Pot Peanut Butter Jelly Cheesecake - Recipes That Crock! Do I have a treat for you! This Crock Pot Peanut Butter Jelly Cheesecake has a peanut butter cookie crust with a delicious jelly topping! Aunt Lou here…aka Sugar Princess. When Cris asked me if I wanted to try out this Crock Pot Peanut Butter Jelly Cheesecake recipe, you know the Sugar Princess had to say yes! 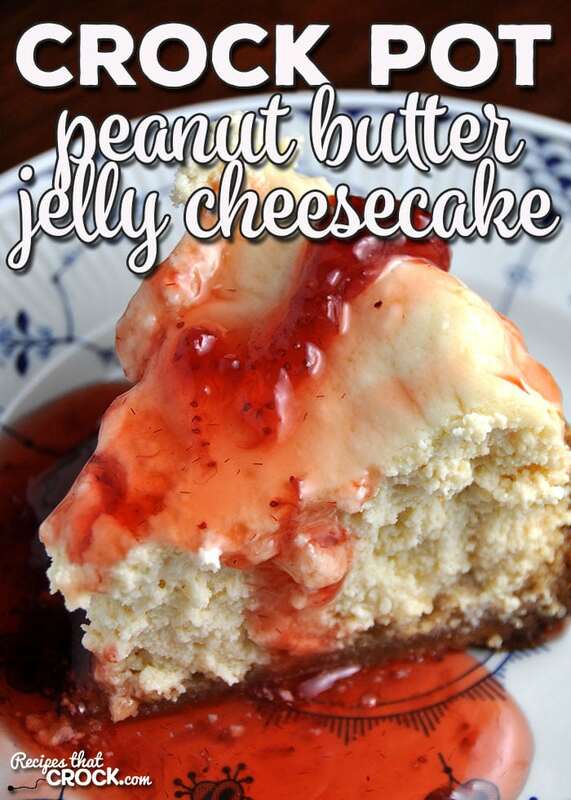 I mean, come on, peanut butter cookie crust, cheesecake in the middle and your favorite jelly drizzled on top? Doesn’t that sound good to you? I thought so! 😉 How ’bout I show you how easy it is to make this yummy dish! 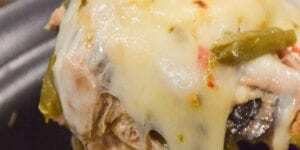 Check out this video where Cris made her Low Carb version of this recipe. Take your 5 quart round insert out of your slow cooker (we used this one) and turn it upside down. Then take a 24 inch by 18 inch piece of heavy duty foil and sculpt it around the outside of the crock with the shiny side touching the slow cooker. Once you have your “foil pan” formed, remove it from the crock and place the crock back in your unit. Then carefully put your pan inside your crock. In a medium bowl, mix together your almond flour, melted butter, 1 egg that is beaten, peanut butter and 3 tablespoons of sugar and then press them into a crust into your foil lined crock and set aside. Now you will want to take your ricotta cheese and put it in a food processor and blend until smooth. Next, in a 6 quart mixing bowl, cream together your cream cheese, smoothed ricotta cheese and remaining sugar with a mixer on medium speed until smooth. Scrape down the sides as needed. In a separate bowl, mix together your heavy cream, remaining eggs and egg yolks, vanilla extract and lemon juice until well blended. Add your egg mixture to your cream cheese mixture and mix in slowly, bumping up to medium speed once the liquid has started to mix in (and won’t splash out). Mix on medium until just blended. Finally pour your batter over your crust and place the lid on top. Cook on low for 3-4 hours or until the center is almost set. 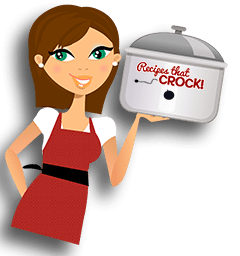 Carefully rotate your crock as needed throughout cooking to reduce uneven cooking. Once cooking is done, carefully remove lid (do not let lid liquid drip into cheesecake) and place a clean cooking towel over the top of the crock. Be careful not to let the towel touch the top of the cake. Cool for one hour. Remove crock from unit and let it cool completely before placing in the fridge overnight. The next day carefully remove cake with foil from your crock and place on a platter. Gently pull foil away- ripping if necessary and remove entirely from cake. Melt 1/2 cup of your favorite jelly in the microwave and slice cake and serve topped with melted jelly. 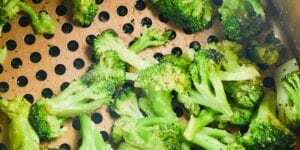 This recipe was adapted from a recipe Cris found in George Stella’s Low-Carb Essentials Cookbook: Everyday Low-Carb Recipes You’ll Love to Cook. While this recipe is not low carb, Cris has made the low-carb version for all our low-carb folks! 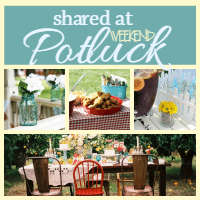 I used a 5-quart round slow cooker. 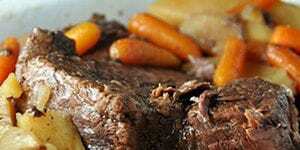 Take your 5 quart round insert out of your slow cooker (we used this one) and turn it upside down. Then take a 24 inch by 18 inch piece of heavy duty foil and sculpt it around the outside of the crock with the shiny side touching the slow cooker. Once you have your "foil pan" formed, remove it from the crock and place the crock back in your unit. Then carefully put your pan inside your crock. In a medium bowl, mix together your almond flour, melted butter, 1 egg that is beaten, peanut butter and 3 tablespoons of sugar and then press them into a crust into your foil lined crock and set aside. Now you will want to take your ricotta cheese and put it in a food processor and blend until smooth. Next, in a 6 quart mixing bowl, cream together your cream cheese, smoothed ricotta cheese and remaining sugar with a mixer on medium speed until smooth. Scrape down the sides as needed. In a separate bowl, mix together your heavy cream, remaining eggs and egg yolks, vanilla extract and lemon juice until well blended. Add your egg mixture to your cream cheese mixture and mix in slowly, bumping up to medium speed once the liquid has started to mix in (and won't splash out). Mix on medium until just blended. Finally pour your batter over your crust and place the lid on top. Cook on low for 3-4 hours or until the center is almost set. 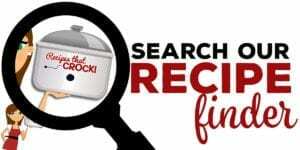 Carefully rotate your crock as needed throughout cooking to reduce uneven cooking. Once cooking is done, carefully remove lid (do not let lid liquid drip into cheesecake) and place a clean cooking towel over the top of the crock. Be careful not to let the towel touch the top of the cake. Cool for one hour. Remove crock from unit and let it cool completely before placing in the fridge overnight. The next day carefully remove cake with foil from your crock and place on a platter. Gently pull foil away- ripping if necessary and remove entirely from cake. Melt 1/2 cup of your favorite jelly in the microwave and slice cake and serve topped with melted jelly. 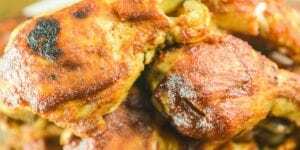 This recipe was adapted from a recipe Cris found in George Stella's Low-Carb Essentials Cookbook: Everyday Low-Carb Recipes You'll Love to Cook. 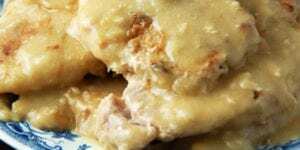 While this recipe is not low carb, Cris will have the low carb version for you soon! Yes, once you have your “foil pan” formed, remove it from the crock and place the crock back in your unit. Enjoy!